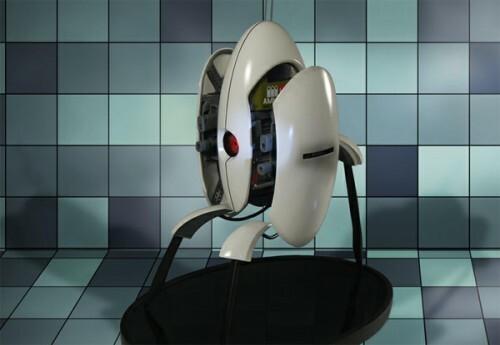 Licensed Portal 2 Turret Up For Purchase | OhGizmo! By David Ponce on 06/27/12 • Leave a comment! The above is a 16 inch tall replica of the turrets you find in the game Portal. It looks just like the one in the game and for good reason: it was made using the game’s 3D files for it. Turns out it’s a functional replica too, minus the laser: there’s a motion detector that makes the turret light up when you wave a hand in front of it. And there’s a slightly more expensive version with audio effects, which include “in-game turret activiation, search, auto search, disabled, and tipped over sounds as well as other voice samples.” Whether you get the $300 without sound or the $325 with sound version, they’re both cast in high quality poly-stone and hand-finished and hand-painted. The initial production run understandably sold out pretty quickly, but there’s a waiting list you can get on with a pre-order. No word on when the next batch will be made, though there are talks of the company making replicas of other characters in the game.